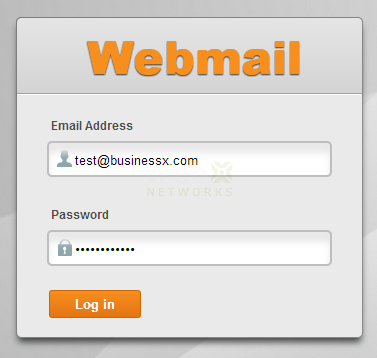 In cPanel web hosting, there is a feature called Email Trace in section Mail. As an account admin you can login to cPanel or as an email user you can login to webmail interface to use this Email Trace feature to search through mail server logs to see what is happening with your email. You can see details of each delivery attempt, including whether a message was delivered successfully. You can also see the delivery route for a message from your account’s mail server to a remote address. Enter a recipient email address in the search box. 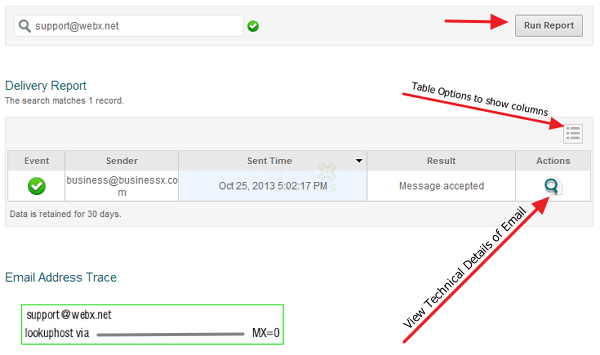 Click Run Report to show the Delivery Report table and the Email Server Trace diagram. These logs are very descriptive and you may not understand them all but if you study them carefully you can see what is happening with each email that is sent to your domain or is being sent from your domain to others. Email Trace can be very helpful in diagnosing problem with email deliveries. While spammers are trying to take over your mailboxes, we are trying to fight them back and block them from reaching you. 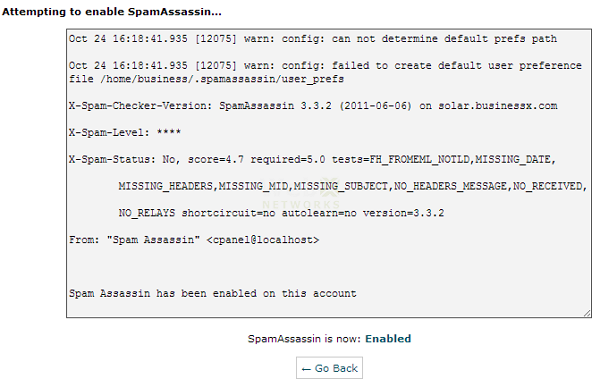 In this fight there are times when a restriction on the server to block spammer also catches a legitimate email. This can be a problem with either the sender or recipient email server. We provide this feature to empower you, our valued client, with as much details as possible to resolve such issues. We hope you have a great emailing experience with us. If you face any problem, please contact us and we are here to help. Mailing lists can simplify sending messages to a large group of people. You can add a group of email addresses to a mailing list to avoid typing those addresses each time you send a message. This can be very useful when sending newsletters or other updates to large groups of people. You can configure specific settings for your list once it is created. cPanel uses mailman software for hosting mailing lists. Web assume that you are already logged in to cPanel web hosting account. Click on Mailing Lists icon in the Mail section of cPanel. There is a video tutorial available for basic steps of creating a mailing list. You can watch that video or just follow with us. We will be showing you a lot more than that. List Name: This should be a single word e.g. announcements, newsletter, staff, vendors, etc. Whatever name you choose becomes the complete email address for your mailing list e.g. newsletter@example.org where subscribers can send email. Domain: Select the domain if you have more than one in your account. Password: You can enter a secure password or use the Password Generator. 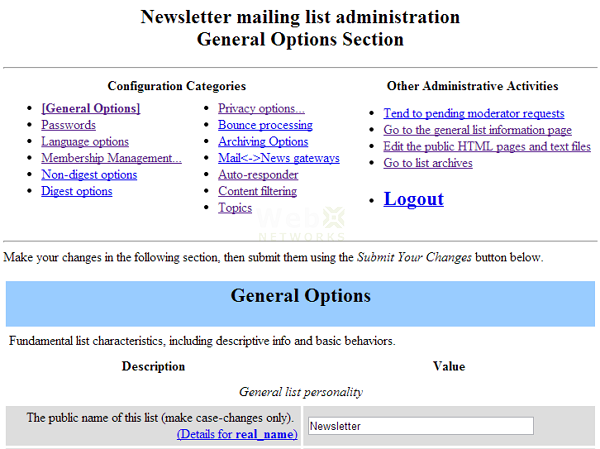 Access Type: Choose Public if this is a public newsletter and you would like the archives of the list to be publically available and allow anyone to register on the mailing list. If this is private company list, then you can choose Private. Private list is not advertised or listed on the mailing list page and only the admin of the mailing list approves subscriptions to it. Now that you have created the mailing list, it will be listed under Current Lists. You can delete the list if you do not need it and any messages posted on it will be removed. 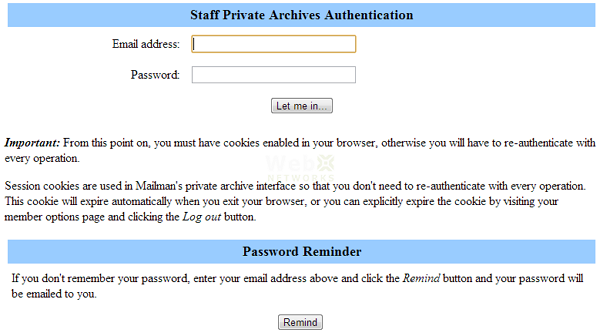 You can change the administrator’s password by clicking on Change Password. Or you can manage it by going to the Administration section by clicking Manage. 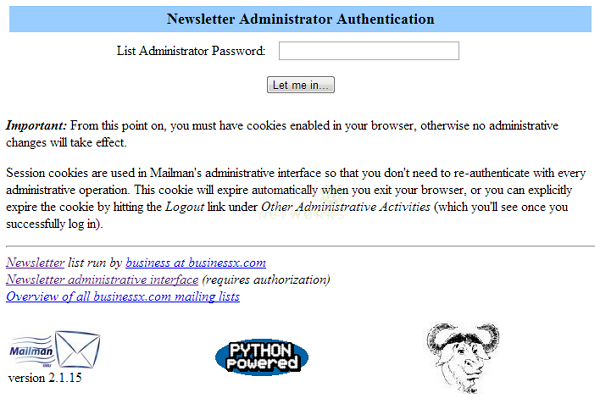 Now you can enter your mailing list password to the administration section. If you already forgot your password 😉 you can reset it from cPanel. Once you are logged in, you’ll be presented with many options to configure. The default ones work out of the box but you have a very fine control of many of the options that you can choose. 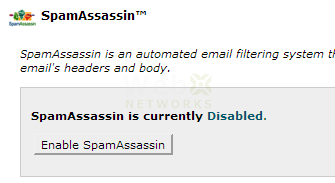 When you logout you’ll be back on the admin page of the mailing list. Here you can also see some links in the footer that take you to the public page of the mailing list. That page has a link to archives and if the list is public you can view them. For private list, it requires each user to login. Keep in mind that every subscriber to the mailing list can have their own unique password to access private archives. The page also provides an easy option for more subscribers to join. Depending on how you configure it, they can join automatically or wait for your (admin’s) approval. We hope you have a superb mailing through mailing list hosting. If you face any problem, please feel free to contact our user friendly support team. Mailbox quota exceeded – How cPanel manages mailbox quotas? This applies to cPanel Web Hosting account and configuration of this is done by System Administrator with root privilege. When you have an email account with certain amount of disk space quota, and it goes full, you have the option to either keep the mails in the queue or return them to the sender. The problem with keeping the emails in the queue for over quota email accounts is that it will clutter the queue of server with large number of emails. And most importantly neither the sender of the email nor recipient will know there is a problem with mailbox quota and it has exceeded. To reject emails on over quota at the time sender’s remote server is delivering email to your hosting account is the best option as this will instantly inform the sender the mailbox is full. The sender can then either contact recipient via other means or try again later. This is configured in WHM’s Exim Configuration Manager by setting the value of Reject mail for users over quota to On. Important Note: In cPanel interface when you look up the disk space usage of email accounts, they get instantly updated with emails coming in or being deleted. This process is handled by the incoming and outgoing mail servers (exim, dovecot etc.). However for the purpose of checking disk space when receiving emails, cPanel re-calculates the disk usage every four hours and then uses that cached value for the next four hours. If it had to check each and every mailbox each second it is trying to deliver mail, the server would not be able to handle it. And it would also not allow temporary quota issues to be resolved where clients download emails regularly to make room. Therefore there is a small window when emails will be received for over quota accounts even with this configuration of rejecting emails for users over quota. Those emails are held in queue and on the next try they are delivered.